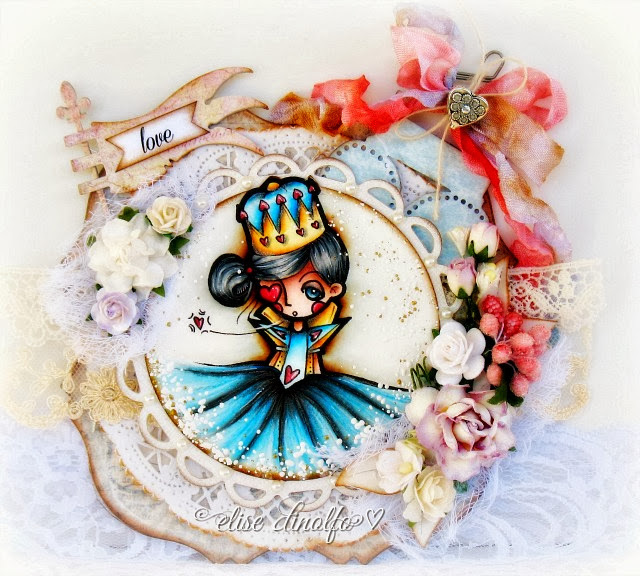 It's Elise here today .. sharing with you a card that I've made with one of Alberto's gorgeous new girls .. this one called "Queen of Hearts"! I absolutely LOVE Alberto's new digi line and I know you do as well! Each image that he has created has such a magical feel to them! You can find them here at Whimsy Stamps to fill your heart's content! I am so honoured to be with this amazing team .. thank you so very much Alberto for having me with all of you!!! Please stop by again soon .. as Gio will have something GORGEOUS to share with you next!